Apple co-founder Steve Wozniak said that he believes that Steve Jobs would be very happy with Apple today because they continue to put people above technology. 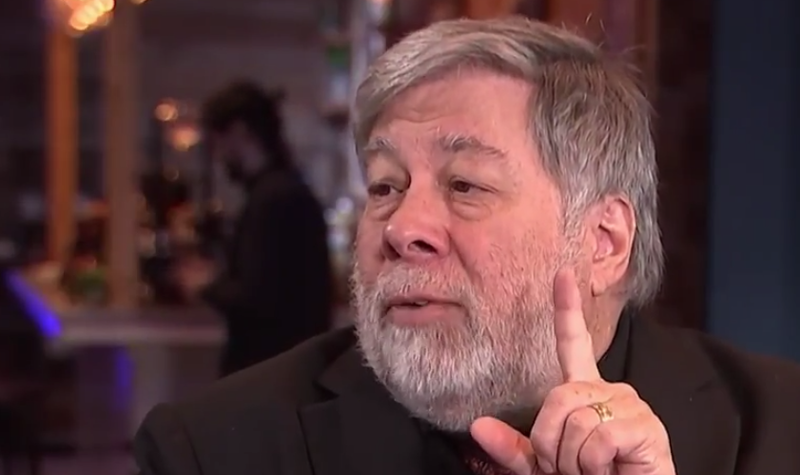 Wozniak also said that other mobile phone companies are not really innovating, they are just creating fun features. He said that Apple is focusing on innovations like Touch ID that literally affect everything we do all the time in life. In my discussions with Steve Jobs, even when I met him in discussing philosophies of the world and how it works and what’s right and wrong… I believe that he would be very happy with the company today and its concern more with end users and putting people above technology. Steve always acted that way. The users should be more important than the technology itself. You should not be a victim of the technology and what it can do. You should get to live your human life in the most human way possible. Apple was the first one to have a smart assistant called Siri where you could just talk a thought that you had in your head. You didn’t have to memorize a structured sequence of operations and memorization. That’s what we got the world away from… becoming human. Real Innovation is What Changes Our Life. People look at a product as an innovation and they say, oh my gosh all of these companies are coming out with other products and each one has a different look and a style and operating system. Wait a minute, what kind of innovation is that? Buy a Samsung phone, I used to do it. I love playing with other products and seeing what they do. You could say smile and it would take a picture a second later. Well, that’s a fun feature, but features aren’t innovation. Real innovation is what changes our life. Apple was the first of the phone companies to put Touch ID. Let’s look at real things in life. Touch ID so you didn’t have to type passwords. Every other phone company had to come along and copy Apple. Apple was the first one to come up with an easy to pay system. Don’t even turn your phone on, don’t unlock it, don’t find an app, don’t type in a credit card number pin. Just hold your phone over the device and put your finger on it to identify yourself. Every other company now had to find easy ways to pay with your phone because you always have your phone with you. Those are major innovations that affect everything we do all the time in life.